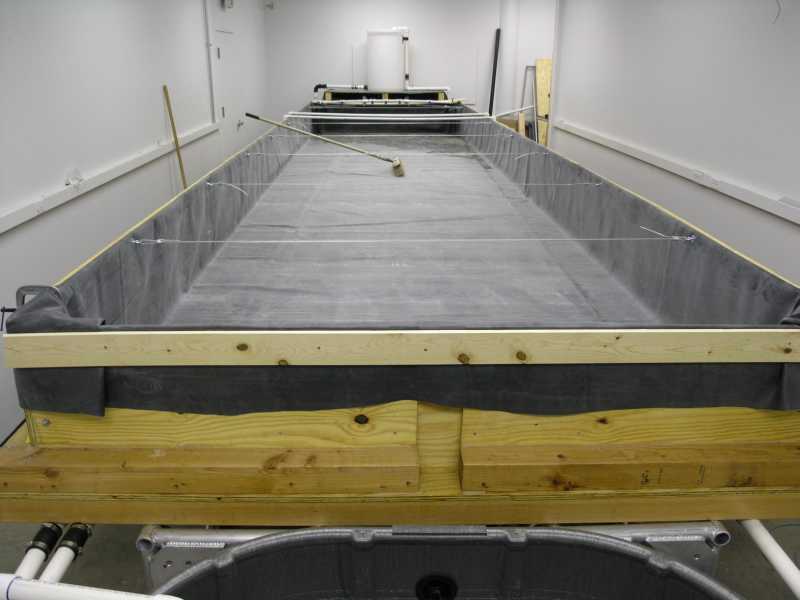 The sediment recirculating flume is 8.5m in length by 30.5cm in width. 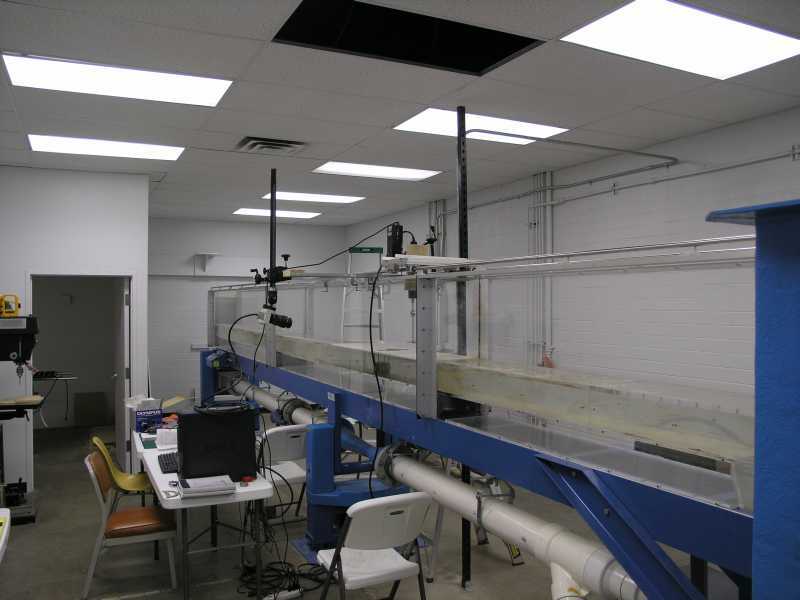 A false floor in the flume allows for instruments to enter the flume from the floor bed. 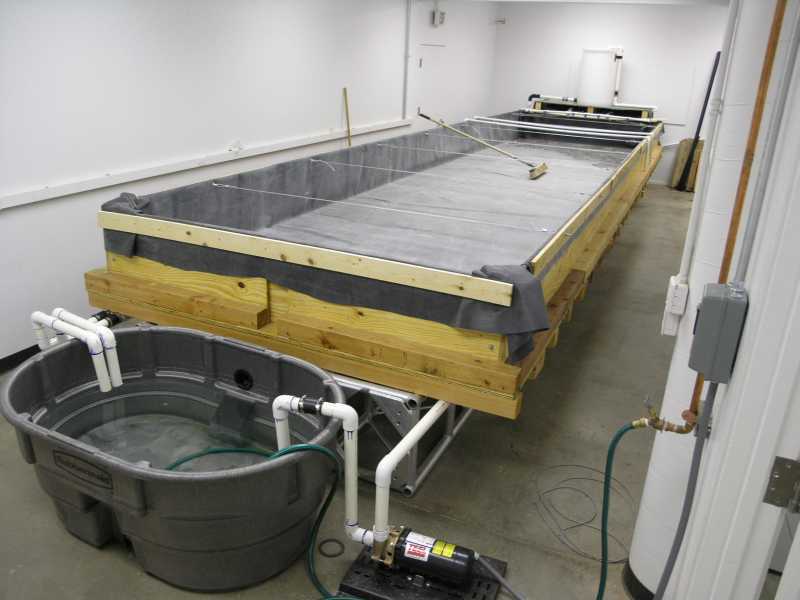 The picture above shows the flume setup for doing cohesive sediment transport experiments. 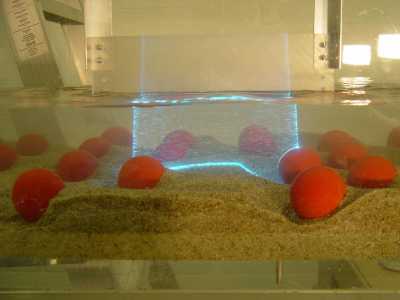 Sediment samples are placed in a cylinder below the false floor and can be extruded into the flow as the sample erodes. 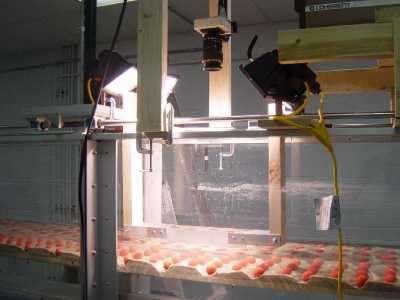 Shear stress and velocity is measured with an accoustic Doppler velocimeter. 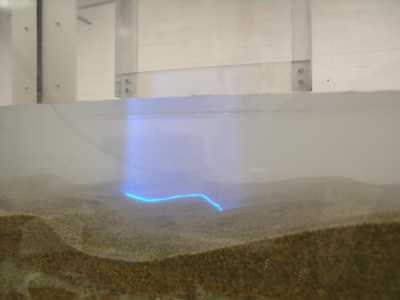 A 4 Watt Argon-Ion laser generates a 1.5mm thick sheet of light that is used in conjuction with a high-speed video camera to conduct visualization and PIV studies of turbulence and sediment motion in rivers. The stream table is 9m long 2.3m wide and 45cm deep. It will be used to study stream incision, drainage evolution, sediment transport-vegetation interactions, and large-scale turbulence in differing river geometries. 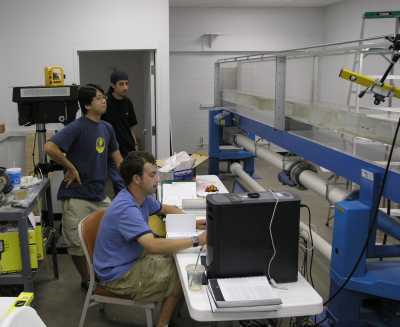 The first set of experiments will examine the erosion and deposition patterns of differing stream anomaly incision mechanisms, including antecedence, stream capture, and lake overflow.